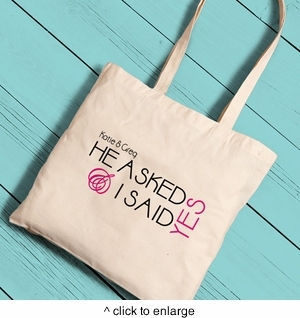 DETAILS: Personalized 14.5 x 14 x 1 Canvas Tote Bags printed with a design of your choice. PERSONALIZATION: 1 Line up to 20 characters (as shown). MARKETING: Wedding, Valentines day, Engagement & Bride Gifts.